Virtual reality continues to make progress, even after its intense hype in 2016 and 2017. These virtual reality trends will guide you to know what’s what in the year ahead in the immersive media space. The release of Oculus Go in 2018 gave consumers a lower price point and a new ease of use thanks to its user-friendly design, serving as a more accessible entry into VR. It signalled the start of mainstream standalone virtual reality. The release of Oculus Quest in 2019 will be an exciting upgrade, moving to a full 6DoF view and perfectly positioned for gaming and movement-based experiences. The Quest is scheduled to release in the spring. When Walmart bought 17,000 Oculus Go headsets in 2018, it was a sign that VR training was no fad. This year, expect to hear from these initial tests on the technology’s efficacy to help prove that enterprise and training are virtual reality trends here to stay. In addition to hearing about results, expect to see more VR training deals like Walmart’s, whether for HR purposes, factory trainings, etc. Why? VR trainings work for situations that require a lot of practice but can’t quite be replicated at scale in the real world (emergency situations, HR role playing, etc.). With companies like Walmart investing, others are taking notice. It’s a new era of advertising. Brands like Sony Pictures, Netflix, Travel Nevada, CVS, and more have all invested in 360° VR and AR experiences. Now, even more brands are investing, and this time in 3D and AR. With 3D Models and Photos easier to make and 360° becoming easier and easier to produce (take a look at the top 28 VR production companies), more brands will incorporate immersive marketing. More than testing it as an innovation project, they’ll use immersive formats as part of their performance marketing since immersive ads perform up to 10x better than flat ads. See this list of the top 10 VR marketing campaigns. We’re moving from a 2D content world into rich, 3D, immersive experiences. Marketers want to stop thumbs and 3D formats do this and more. Whether a 3D to AR display ad experiences or a 3D Photo on Facebook that adds depth to a 2D image, ads that incorporate depth and movement better capture attention. Now, marketers have the tools to easily create these experiences, so look for more 3D goodness in 2019. “AR will outpace VR” “AR, not VR, will go mainstream”. The hype surrounding AR mirrors that of VR in 2016. 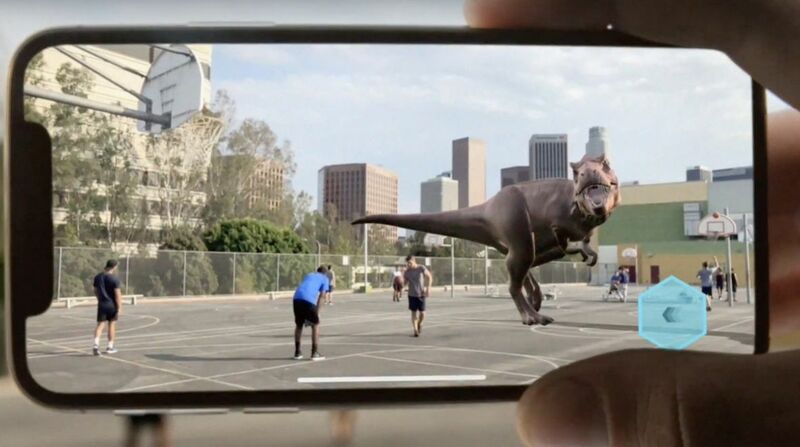 Heavy investment into AR and the exciting promise of mobile AR in particular, shows that AR is the new toy in town. More important to consider are the use cases for AR and which stick. Like training and marketing for VR, AR finds its sweet sauce in utility and e-commerce. Watch these two spaces in 2019.